FSR president Jan Sandri’s exemplary career, generous spirit and commitment to community were recognized by InfoComm International, the leading professional audio visual trade association, when they presented her with an InfoComm Women in AV Award earlier this month. Sandri accepted the honor at the organization’s 75th Anniversary Awards Dinner held at the LVH in Las Vegas, NV. FSR president Jan Sandri’s exemplary career, generous spirit and commitment to community were recognized by InfoComm International. The Women in AV Award was created by InfoComm to raise awareness of the growing role of female professionals in the male-dominated field of audiovisual technology. The award winners are in the upper echelon of AV professionals and symbolize the strength of entrepreneurship and excellence in developing tomorrow’s AV talent. Sandri’s career, and life, ticked all the qualification boxes. Sandri, who is a founding member of FSR, a well-known manufacturer of a wide variety of AV products, has built her career with a commitment to her company, industry, community and country. With over 33 years experience in the AV industry, Sandri’s significant contributions extend from developing products that answer a real need, to having served as a director on the Board of several industry organizations. And after more than three decades of service, Sandri has grown FSR, a women owned business that strives to maintain green manufacturing processes, from three people to a staff of over 100. 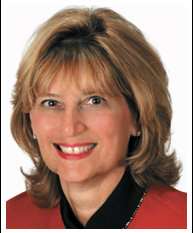 Sandri’s sense of responsibility extends to civic activities where she has served as the mayor of Little Falls, NJ, her home town, and well as on the town council, did a stint as fire commissioner, police commissioner and was also the president of the board of health. As mayor she donated her salary to local worthy causes, or to needy people, and every fall, as school opens, Sandri leads the charge to work with United Way and donate supplies, such as backpacks and notebooks, to children whose families are having a difficult time keeping up with the economy.